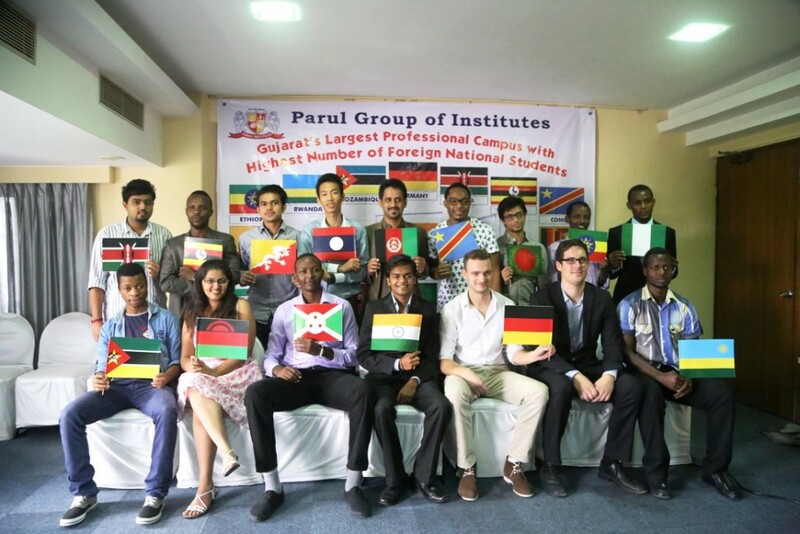 ZVISHAVANE – Parul University of India through its international student ambassador, Walter Mabvumba is offering partial scholarships of $500 to $1 500 to 1 000 students from Zimbabwe. Mabvumba, a Zimbabwean business management student at Parul who is on a tour of high schools in the Midlands Province said that the scholarships will be mainly given to underprivileged students. Mabvumba, a second year student said there were already 58 Zim students studying at Parul under the scholarship scheme. He visited high schools like Dadaya, Munene, Neta, Sanyati Bapstist, Guinea Fowl high among others, during his tour which is running from 1 November to 20 November 2017. Mabvumba told The Mirror that he is offering scholarships to over a thousand students who wish to do studies with Parul, one of the world’s best universities. The total tuition at Parul is $3 000 to $5 000 per year depending on program and this includes food, accomodation and full academic kit. “I am targeting all A Level students in Zimbabwe in urban and rural areas. I have embarked on this programme because there is a lot that Zimbabwean students can learn from a university like Parul which they can use back home to develop up our country,” he said. Mabvumba recently launched an Ecell Platform where students can come with business proposals and they are connected to the business community for financial support. Many students start earning money while still at the University because of such business projects. Mabvumba also got the opportunity to meet traditional leaders who assisted him in identifying poor but intelligent pupils whom he will assist with scholarships. Mabvumba and Kanyama’s outstanding performance at the university saw them rising to become the only black International ambassadors whose privileges include adding input in the day-to-day running of the institution. Parul University was established under Gujarat Private University Act 2009, after a legislation passed by the Government of Gujarat on March 26, 2015. This gave University status to Parul Group of Institutes functioning under the aegis of Parul Arogya Seva Mandal Trust. Parul University is an amalgamation of 30 Institutes offering 100+ programs in Engineering and Technology, Pharmacy, Physiotherapy, Homoeopathy, Ayurveda, Architecture, Management, Business Administration, Computer Application, Fine Arts, Social Work and Vocational Education at Diploma, Under Graduate, Post Graduate & Doctoral Level on a 150+ acre fully equipped campus housing 25000+ students, 500+ International Students from 50 different countries, 2000+ faculty members and providing in-campus residential facility to 7000+ students making it India’s Premier Multidisciplinary University. Parul University has various support cells which facilitate 360 degree learning and career building opportunities during the learning period as well as after completion. Research and Development Cell, Entrepreneurship Development Cell, Career Development Cell, Training and Placement Cell, International Relations Cell, International Students’ Affair Cell, Department of Events and Media Relations, Students’ Council and Alumni Association are some of the cells. The university is also accredited in Zimbabwe by Zimbabwe Council for Higher Education (ZIMCHE). Interested student can contact the admission team on +919408834402. Kanyama and Mabvumba can be contacted on +918469269896 and +917572867906.